Our first two meetings are always complimentary. We want to get to know you and learn which areas of your financial life may need our assistance. 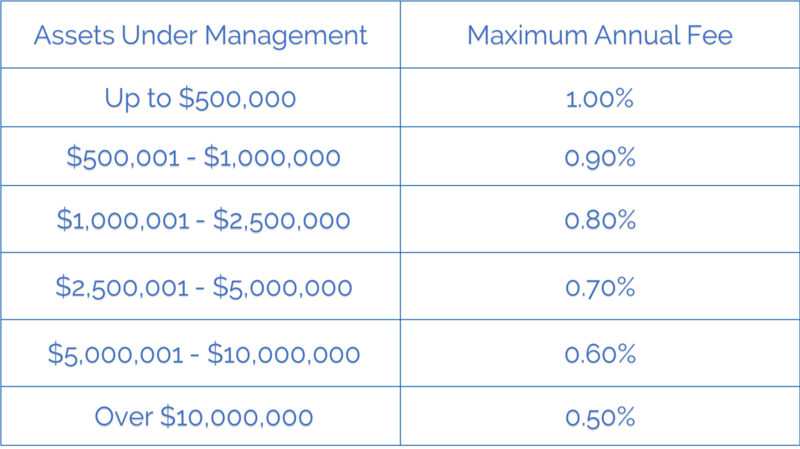 This is a tiered fee schedule meaning the entire portfolio is charged the same asset management fee. Accounts within the same household may be combined for a reduced fee. Fees are billed quarterly in arrears based on the amount of assets managed as of the close of business on the last business day of each quarter. We offer to build one-time comprehensive financial plans at an hourly rate of $200. 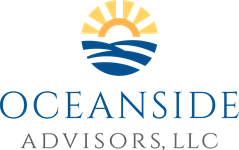 These plans provide a detailed analysis of your cash flow, investment portfolios, insurance coverage, tax planning, basic estate planning, college funding plans, and long term retirement projections. We are licensed to sell insurance products, such as annuities, for which we receive commissions from the insurance carriers. Although this presents a conflict of interest, as fiduciaries, we only recommend these products when we firmly believe they are in the best interest of our client’s financial plans (e.g. when stable income is insufficient during retirement). In our opinion, the financial planning profession exists because of the many complex financial decisions that individuals and families face. A competent advisor can help guide you through certain tax and financial planning opportunities that may be challenging to recognize. These opportunities, when paired with a sound investment plan, can lead to a peace of mind that may be difficult to achieve without the help of a professional. How many meetings should I expect to have before becoming a client? On average we meet with prospective clients four to six times before a decision is made. Before proposing a plan, we want to ensure that we have a complete understanding of your financial situation, your expectations, and that we are the right fit for one another. How long will it take my accounts to transfer to Oceanside? It typically takes 3-14 days once the paperwork is submitted. What does CFP® mean? What does CFA mean? These are both gold-standard designations in the financial industry. Below are excerpts from the websites of the Certified Financial Planner™ Board and the Chartered Financial Analyst Institute that elaborate on these credentials.